Earlier this morning NHL Central Scouting released it’s MidTerm Rankings midterm rankings for the 2019 NHL Entry Draft. 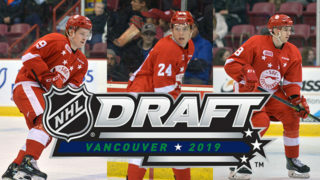 The 2019 draft is set to be held in Vancouver BC, at Rogers Arena, on June 21-22, 2019. 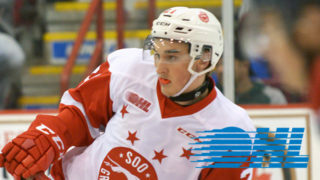 Remaining among the rankings for North American skaters was four Soo Greyhounds who just a couple months ago broke through as “Players to Watch” for this summer’s event. 2nd-year Hound JOE CARROLL leads the group ranked #51 (Round 2). 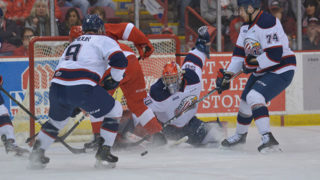 The Carp, ON product recently surpassed his rookie point totals thanks to a stellar month where he notched 3 goals and 10 assists to put him at 7 goals and 16 assists on the seasons. The 6.03, 195 winger will be one of 40 players to participate this Wednesday at the Sherwin-Williams CHL/NHL Top Prospects Game. 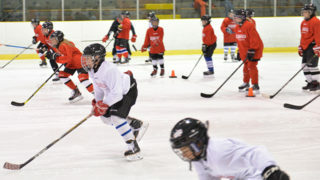 Like Carroll, 2nd-year defenceman JACOB LEGUERRIER is having a career-year as well. The 3rd year Greyhound has been relied upon heavily by Head Coach John Dean and has rewarded the Greyhounds bench boss. In 45 games played, the Gloucester ON native has 12 points while being second among all Greyhounds defenceman when it comes to plus/minus, sitting at +21 on the season. LeGuerrier is ranked #72 (Round 3). 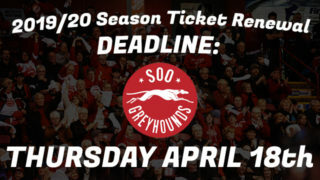 The third Greyhounds to get recognized is Sault Ste. Marie, ON product, COLE MACKAY. 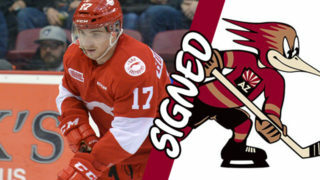 Ranked #96 (Round 3), MacKay sits among the Top 5 in Greyhounds scorers amidst his second season in the red and white as well. Through 44 games played, the 5.11 – 185 lb forward has 17 gaols and 24 assists good for 41 points. He leads all Greyhounds with 9 powerplay goals. While the fourth Greyhound listed is first-year forward CULLEN MCLEAN. A native of Brooklin, ON, McLean has produced 4 goals and 13 assists in 39 games played so far this season. He is ranked #180 (Round 6). To view the complete listing of North American skaters as produced by NHL Central Scouting please CLICK HERE.